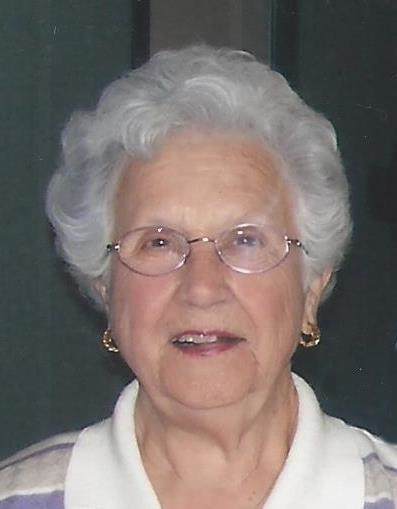 Spartanburg, SC: Ruth Barber passed away Wednesday October 3, 2018. She was the wife of the late Joe Barber and the daughter of the late Jolly and Mary Bruce. She was a life-long resident of Clifton, a member of St. Andrews United Methodist Church and also attended Montgomery Memorial United Methodist Church. She was a retired inspector for Kohler. She was Aunt Ruth to numerous nieces and nephews, even those to whom she was not related. She also leaves behind a very special friend and caregiver Rita Kirby. She was predeceased by a brother Richard Bruce and a sister Virginia Holmes. The family will receive friends 1:00pm – 2:00pm Saturday October 6, 2018 at Bobo Funeral Chapel. Funeral service will follow at 2:00pm with Rev. Mack McDowell and Mr. George Gentry officiating. Burial will be at Greenlawn Memorial Gardens. Memorials may be made to St. Andrews United Methodist Church, P.O. Box 64, Clifton, SC 29324 or Montgomery Memorial United Methodist Church, 160 Stone Street, Pacolet, SC 29372. The family would like to express many thanks to Spartanburg Regional Hospice for their loving care. The family will be at the home of George and Mary Gentry, 570 Beacon Light Road, Spartanburg, SC 29307.